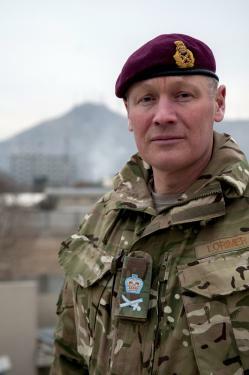 Lieutenant General John Lorimer joined the British Army in 1981 and was commissioned into the Parachute Regiment. From 1985-8, he studied Arabic and Islamic Studies at Cambridge University. He served in all three regular Parachute Regiment battalions in a number of regimental appointments and attended the Army Staff College in 1994. This was followed by 2 years as a company commander in 1 PARA, including operational tours in Northern Ireland. On promotion to lieutenant colonel, he was posted to the MOD, prior to commanding 3 PARA. During his tenure of command, the battalion deployed twice to Northern Ireland, as well as taking part in operations in Kuwait and Iraq in 2003. On promotion to colonel, Lieutenant General Lorimer served at US CENTCOM and attended the Higher Command and Staff Course at the Joint Services Command and Staff College. He was then posted to the UK’s Permanent Joint Headquarters (PJHQ) in the appointment of Deputy Assistant Chief of Staff J3A/Land in April 2004 for 7 months, prior to moving to the J5 (Plans) Division, where he was responsible for Middle Eastern operational planning. He was then selected for promotion to brigadier and command of 12 Mech Bde in June 2005, taking over command of the Brigade in Basra in South East Iraq. In 2007 he commanded 12 Mech Bde in Helmand Province, Southern Afghanistan. After attending the Royal College of Defence Studies in 2008, Lieutenant General Lorimer returned to Northwood, this time as ACOS J3. He was then promoted to major general in November 2010 and served as the Chief of Defence Staff’s Strategic Communication Officer and the MOD’s operational media spokesman. He then assumed command of 3 (UK) Div in June 2011, training the UK brigades for operations in Afghanistan. He then assumed the appointment of Deputy Commander ISAF and UK National Contingent Commander in July 2013 and completed a year-long tour in Kabul. He then became Chief of Joint Operations (CJO) from October 2014 until June 2017; much of his tour as CJO was spent in theatre, particularly in North Africa and the Middle East. He assumed the position of DSAME in January 2018. Lieutenant General Lorimer is married to Philippa and they have 3 sons. His hobbies include shooting, deer stalking and Scottish rugby, the last of which causes him no end of frustration. Lieutenant General Lorimer is President of the Army Winter Sports Association, President of the Army Rugby Union and President of the Army Parachuting Association. He is also Colonel Commandant of The Parachute Regiment.